This is the Jones-Biggers Home, at 615 Second Street. The house was built in 1892, by Dr. Paul Tudor Jones, in the Queen Anne style. 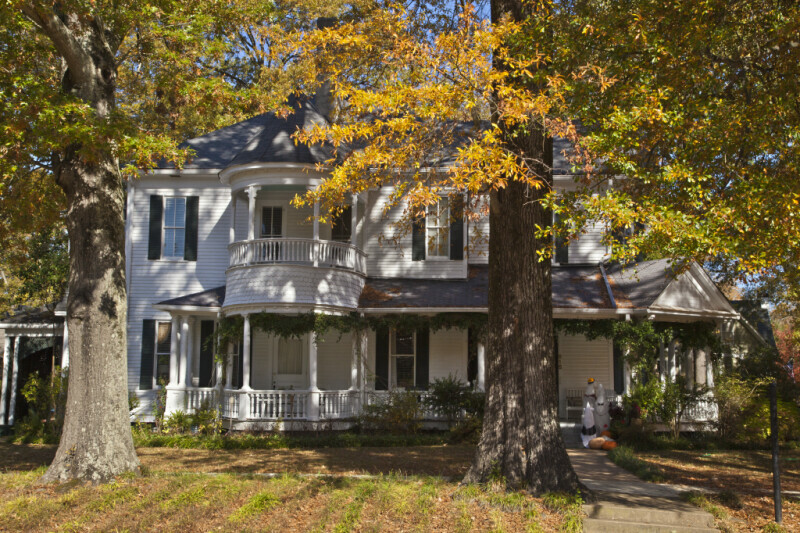 In 1917, the house was acquired by James D. Biggers. There are two large trees growing in the front yard. The leaves of these trees appear to be in the early stages of turning yellow. WARNING: You are about to download a 45.2 MB TIFF!